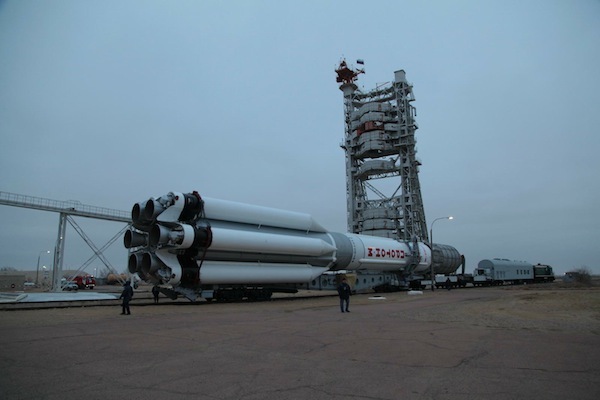 Russian technicians towed a Proton rocket to launch pad 39 at the Baikonur Cosmodrome on Thursday and hydraulically rotated the 191-foot-tall launcher into a vertical position for Sunday's launch a mobile broadband communications satellite for Inmarsat of London. 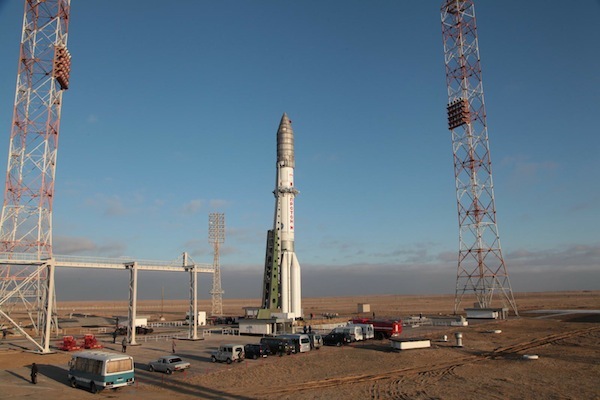 The Proton is set for liftoff at 1212 GMT (7:12 a.m. EST). 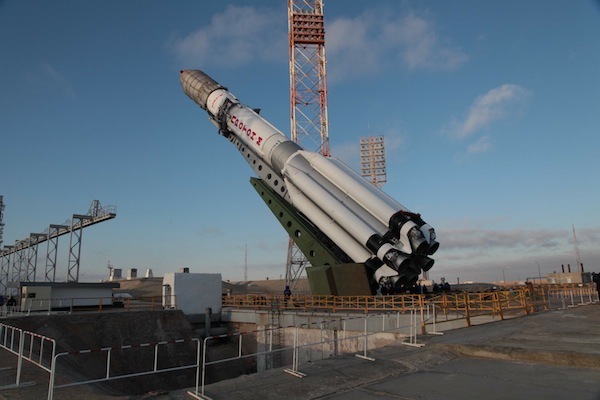 The rocket's Breeze M upper stage will ignite five times to inject the Inmarsat 5 F1 spacecraft into geostationary transfer orbit about 15 hours, 30 minutes hours after launch. 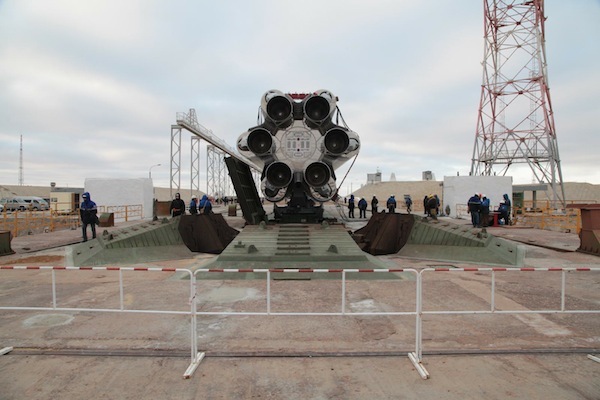 See our Mission Status Center for live coverage of the launch.